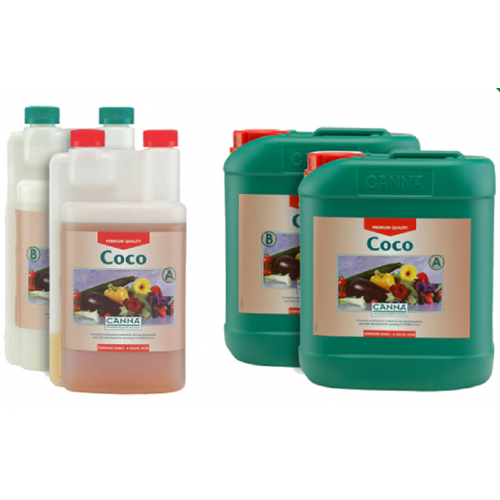 Canna Coco A&B is a revolutionary, (and often imitated, but never quite duplicated), beneficial nutrient that contains all of the essential elements necessary for a healthy and abundant crop. This easy-to-use formula does not come in a Flores or Vega form as it is basically a unique combo of both in that it works for both the growth and blooming cycles for plants! 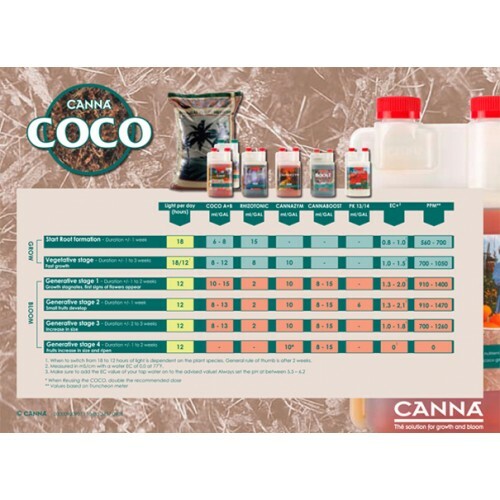 Canna Coco dissolves quickly and easily so it is safe to use in “drain-to-waste” systems that contain coco coir like Canna Coco Professional Plus. Never add parts A&B at the same time as it will cause an adverse reaction. Add Part A and then wait at least 10 minutes before adding part B. Never mix the 2 together in their concentrated form as well. Ideal PK ratio of 0-20-21 powerful fruit set and ripening with sweet smelling large flowers and buds..
. Buddha Tree Advanced Meta Boost is power packed with amino acids, plant sugars and hormones along .. This highly acclaimed product is perfect for any environment and is able to be used with any combina..
Canna Flush can also help revitalize and restore plans that have been over fertilized due to soil da..
Dissolve 1.5 ml concentrate per 1 liter of water and add to the full nutrition tank. It can be..
as your selected Organic Coco-based Medium does not contain any nutrients and it is also advisable ..
Advanced Nutrients Big Bud Coco Advanced Nutrients Big Bud Coco still has all the benefits of t..
Advanced Nutrients Overdrive is a powerful liquid to give peak performance in the last stages of pla..
A Variety of instruments for measuring and pouring your nutrients.3ml Plastic PipettePlastic Tweezer..